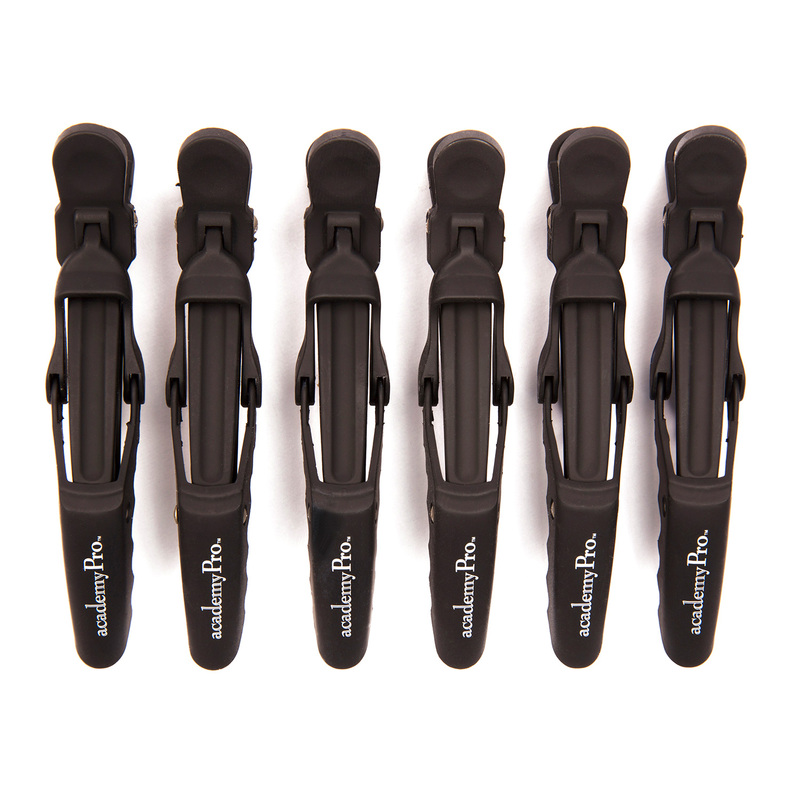 Academy PRO Hair Gator Clips are ideal for the professional stylist. Ideal for getting hair out of the way so you can work without worrying about your client's hair coming loose. They're perfect for pulling the top few layers of hair up while installing hair extensions on the lower layers. However, these Gator Clips can be used for any and all types of styling or cutting. Using Academy PRO hair extension accessories guarantees that both the clients original hair and the hair extensions are treated properly and last a long time. Our clips are designed to work with Academy PRO Hair; we recommend only using our products for the best results.